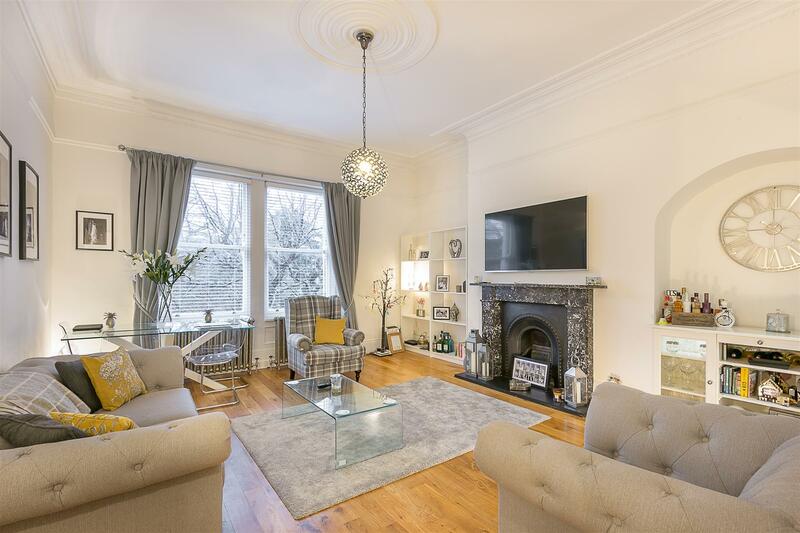 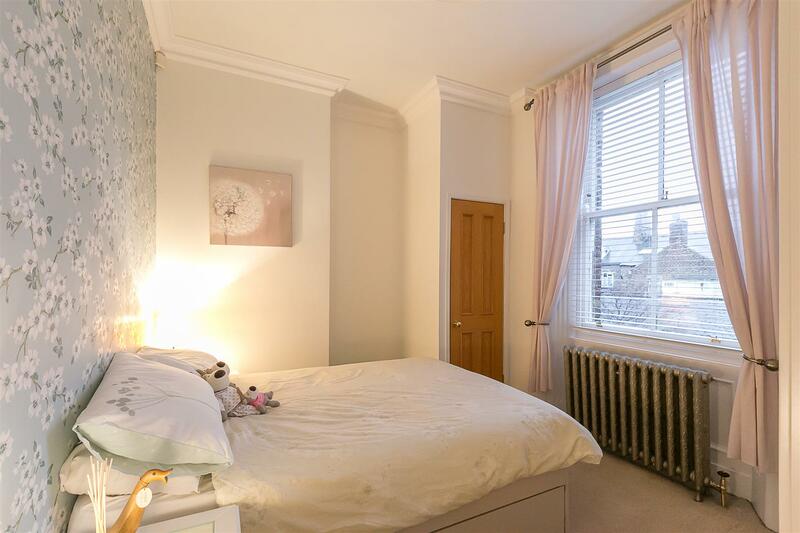 Set behind lawned communal gardens, a charming first floor apartment, forming part of a sensitive conversion of a double-fronted, Victorian townhouse on Tankerville Terrace. 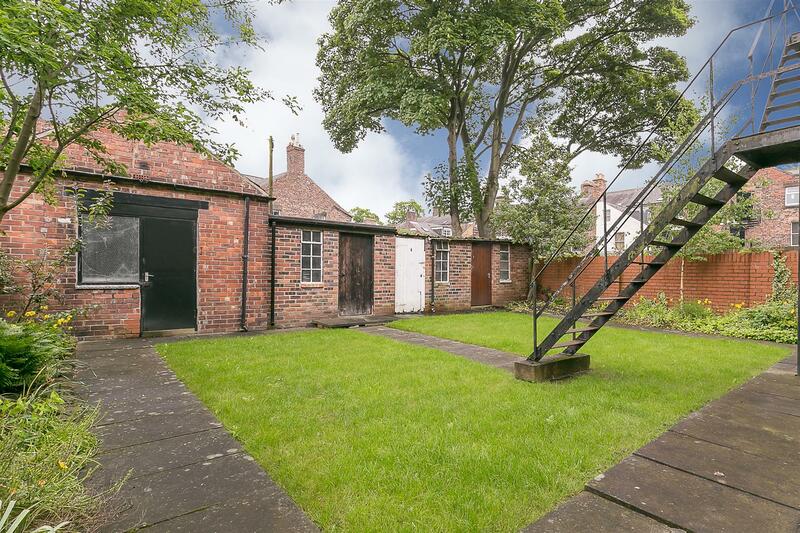 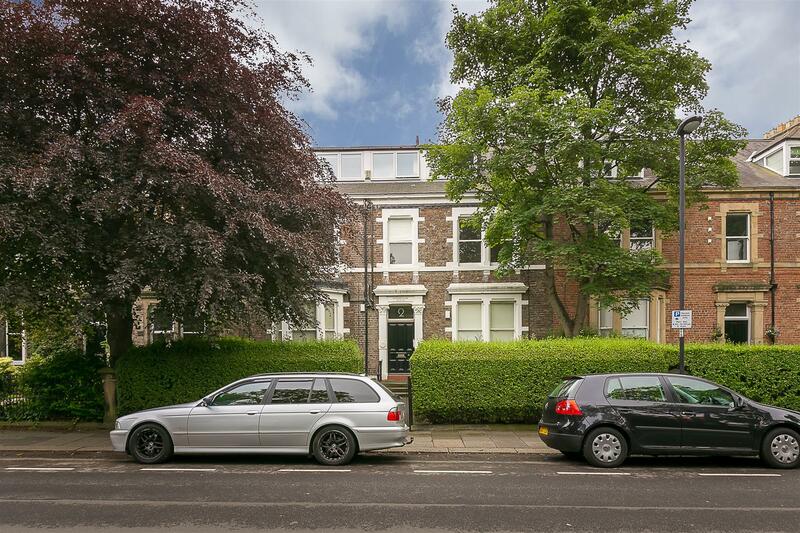 In the heart of the Brandling Village Conservation Area, Tankerville Terrace is well situated close to Jesmond Metro Station, the shops, restaurants and cafés of Jesmond and indeed Newcastle City Centre itself. 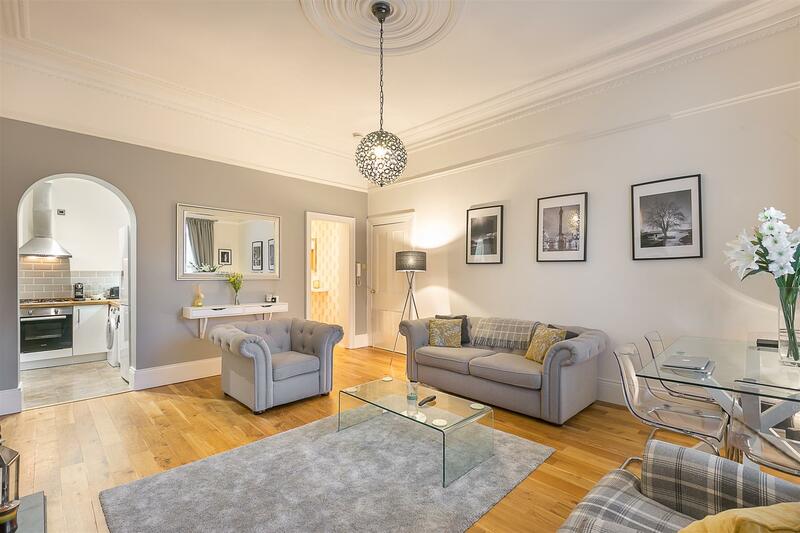 Well presented throughout and retaining a wealth of period features, the accommodation briefly comprises: communal entrance hall with staircase to first floor; private entrance lobby; a delightful 18ft lounge/diner with tall ceilings, period fireplace and west-facing sash windows which opens to a stylish, refitted, kitchen with integrated appliances. 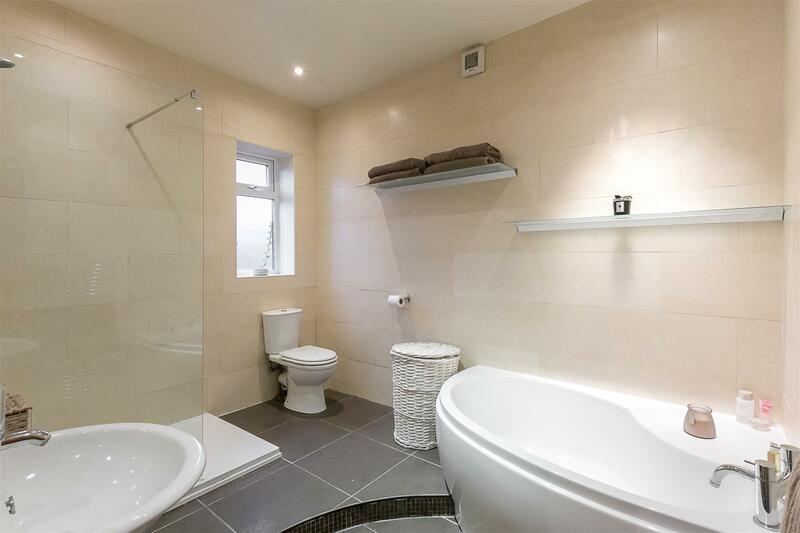 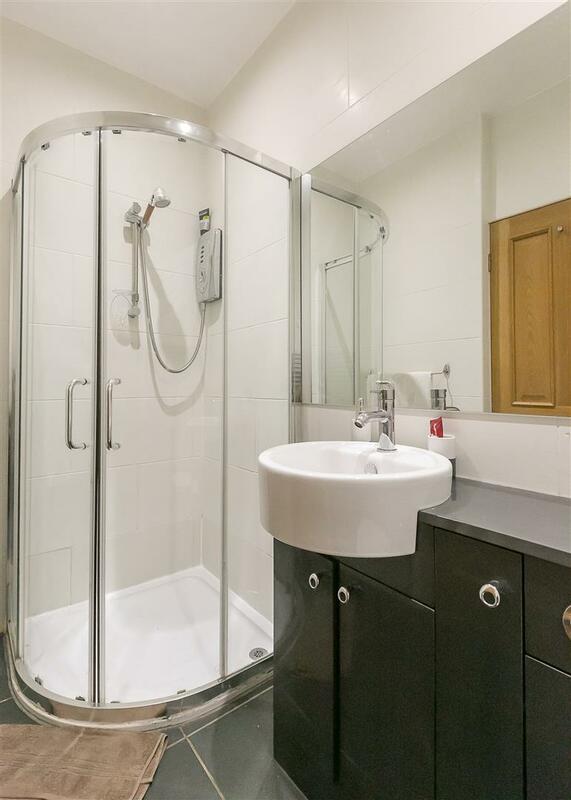 The split-level hallway gives access to a shower room/WC and two double bedrooms, both with cast iron radiators and the master with generous en-suite bathroom with four-piece suite including walk-in shower and panelled bath. 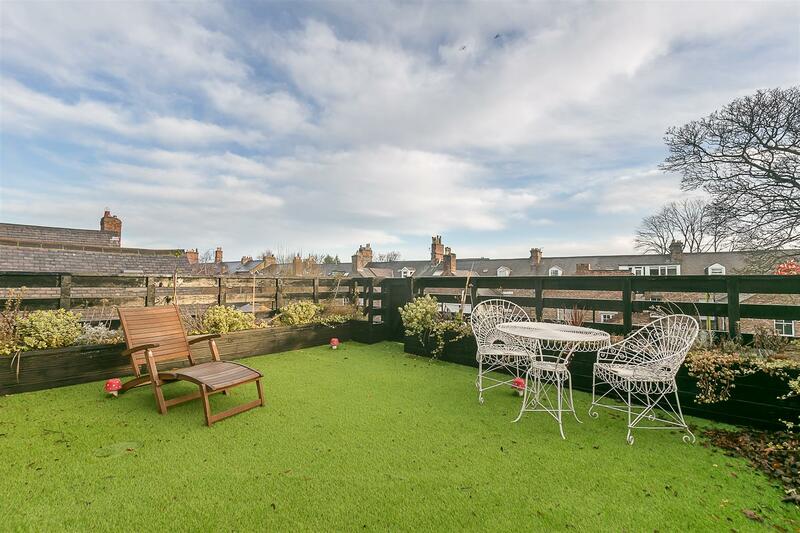 The community boasts shared use of lawned gardens to the front and rear, a delightful roof-terrace with artificial lawn and garage storage. 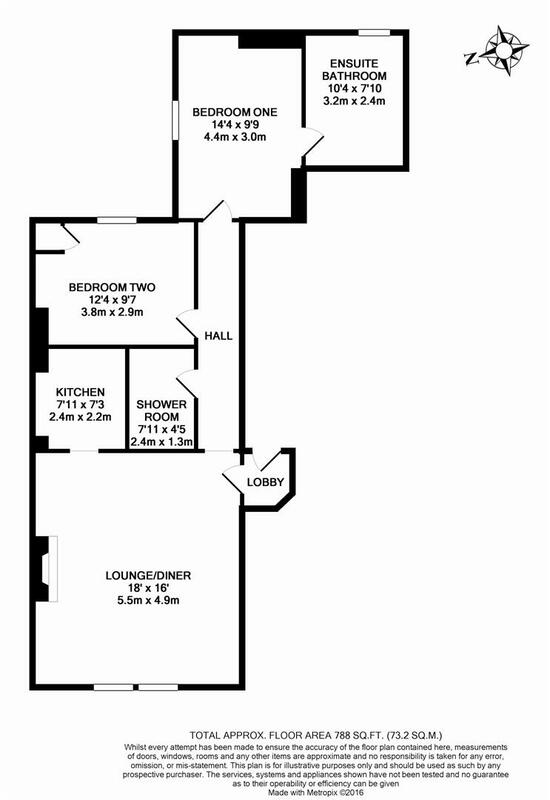 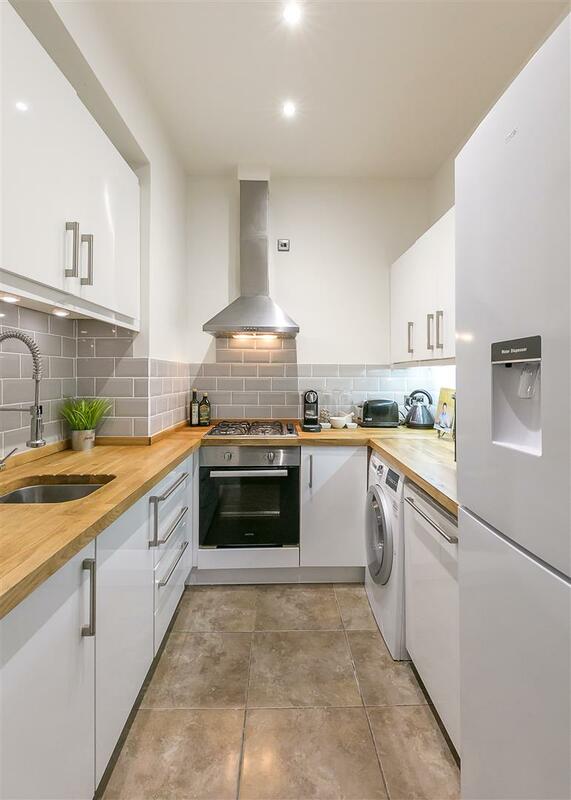 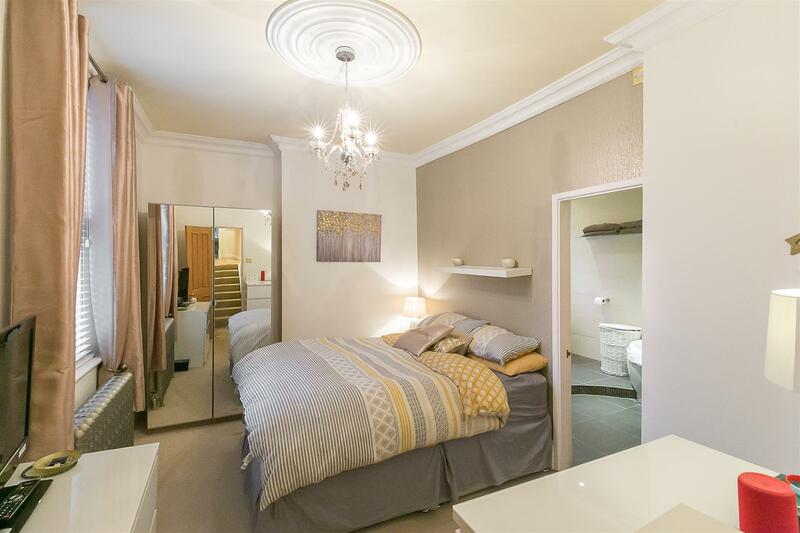 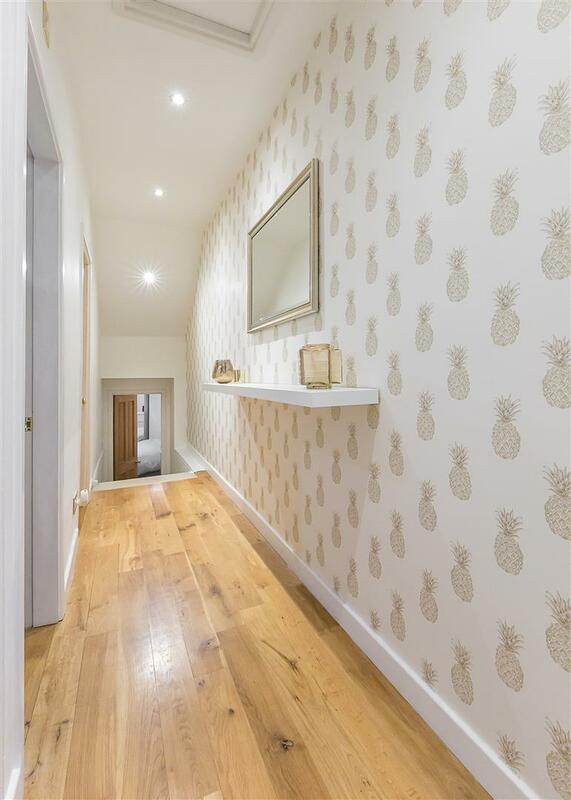 Well presented throughout, this great apartment demands an early internal inspection!